In advance of the release of Disney's new movie, The Finest Hours, you might wish to read this book by Michael J. Tougias and Casey Sherman. 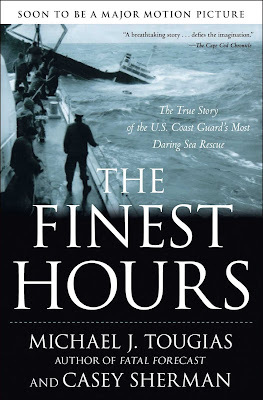 The Finest Hours: The True Story of the U.S. Coast Guard's Most Daring Sea Rescue is readily available on Amazon in all formats from hardcover to paperback to Kindle and audio. Definitely in advance but even after the movie release, this book would make a great movie-themed birthday or Christmas present. Add it to your reading list now so that you can do the right thing and read the book before you see what looks like an amazing movie in January of 2016. Buy The Finest Hours on Amazon. Discover a list of natural disaster movies. I agree, Trish. Thanks for visiting!